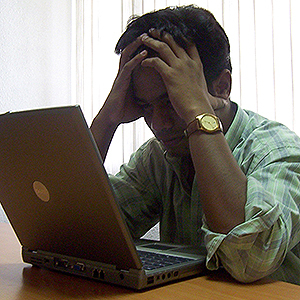 Frustrated by your current Web host? Talk to 4word Systems. Now what do you do? You've managed to attract loads of visitors, and there is no Web site for them to see. How in the world will you devise a plan to “use less resources”. What exactly are these "resources" anyway? Although the price seemed right when you started, budget hosting often fails when you need it most. If you find yourself in this situation, turn to 4word Systems! We offer the cost benefit of shared hosting, without loading hundreds of sites onto one server. It's intelligent sharing where the costs are spread across Web sites, without the restrictions that come with the "big guys". We also offer dedicated hosting with professional, experienced staff who know how to setup a server and maintain it. 4word Systems offers Web hosting for WordPress, Magento, or html-based Web sites. Shared, Virtual Private Server (VPS hosting), or Dedicated Web hosting; you'll find all three with 4word Systems, but without having to manage the servers yourself. No Web site is too small (or too large) for 4word Systems Web hosting. We host Web sites with five pages and Web sites with 10,000 pages. Some of our clients have brochure Web sites and others have full eCommerce sites generating millions of dollars in revenue. What do these companies have in common? They all enjoy reliable Web site hosting with an experienced, dedicated team behind it. Should your site grow exponentially, we are there to provide the infrastructure you need; not turn your site off! Contact 4word Systems today. Emergency “move my site today” calls welcome.